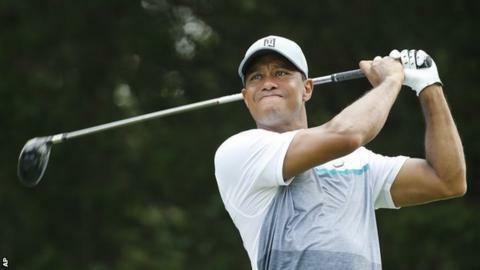 Tiger Woods says it is taking longer than expected to regain his best form. The former world number one and 14-time major winner has dropped to 266th in the rankings following back surgery and changes to his swing. This year Woods, 39, has also missed the cut in successive majors - the US Open and The Open - for the first time. "I didn't think it would take this long, but I thought I would have my short game, which I didn't at the beginning of the year," Woods said. "Is it fun going through this? No, it's hard. I'm not scoring. Rounds that should be 70s are turning into 74s - if not worse." The American, who has not won a major since 2008, has missed the cut in three of his eight starts this year and his best result came when he finished tied for 17th at the US Masters. Woods will host this week's US PGA National at the par-71 Robert Trent Jones Golf Club in Gainesville, Virginia. Great Britain's Justin Rose will also be in action at the event where he is the defending champion.